BroadForward’s BFX Interface Gateway powers M2M communication for the world’s first Private Virtual Network Operator (PVNO). BroadForward, a Netherlands based software company, today announced its BFX Interface Gateway has gone in full operation to support the world’s first Private Virtual Network Operator (PVNO). System integrator CGI in The Netherlands has implemented BFX to offer a game-changing service for PVNOs, which creates an open market situation for mobile M2M communications. The first PVNO using this service is a Dutch utility company, serving millions of M2M devices (smart meters, gateways and remote telemetry units). With the new PVNO model, enterprises that have large amounts of SIM cards installed across the country can become operators in their own right and escape the lock-in of long term contracts with a mobile network operator. From now on they can switch to another network provider without the need to replace SIM cards. Ownership of the SIM not only reduces costs, it also stimulates innovation of services. The implementation of the proxy solution and PVNO service by CGI follows the recent introduction by the Dutch telecommunications regulator of a unique, industry changing legislative framework that enables enterprises to become communication service providers. Enterprises can register as a so-called ‘Private Virtual Network Operator’ and obtain a shared ‘Mobile Network Code’ (MNC). 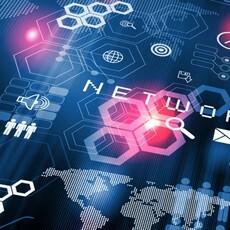 Participating enterprises connect to the PVNO solution managed by CGI and will be provided with their own sub-range within this shared network code. The managed service allows the participating enterprises to share this designated network code across different operators for wireless communication between devices and the enterprises’ back-end systems. The Netherlands is the first country that has enabled this type of virtual operator. At the core of the service is the BroadForward BFX Interface Gateway. It provides the ‘proxy’ technology required for intelligent routing of M2M traffic based on network codes and sub-codes. BFX is designed to facilitate routing and interworking across Network and IT protocols in a matter of hours without the need for development. BFX is deployed at leading communication service providers around the world to enable multiple service scenarios.